"I am on a limited income, right? So paying it back I was left with no money. I had no choice but to re-borrow." Robbie McCall started using payday loans after he got sick and couldn't work. His disability cheques weren't enough to get by. He says it has taken him nine years to pay off a $200 loan. "The first one was actually for $20 dollars," he tells The Current's Anna Maria Tremonti. McCall says when the loan fees started adding up, he borrowed from another payday lender and the avalanche of fees began to pile up. "It was $100 extra every month to pay the fees off," he says. With such a limited income, McCall says he couldn't get ahead and it wasn't long before he was handing over a whole disability cheque to pay off the loan. As of this week, Ontario is bringing in regulations around high-cost lenders with a cap on how much companies can charge for loans. The fee has been lowered to $15 per $100 loan, instead of $18. Other provinces have similar caps. But even so, the interest rates can still add up to more than 200 per cent a year. McCall calculates the interest on his loan over nine years amounts to $31,752. He tells Tremonti he just finished paying it off with the help of a CBC listener in Ottawa who offered zero interest. "She ended up paying my loan for me and I was able to pay her back without the item fees," McCall says. According to McCall the new regulations lowering loan fees is a good start but he says it's not far enough. 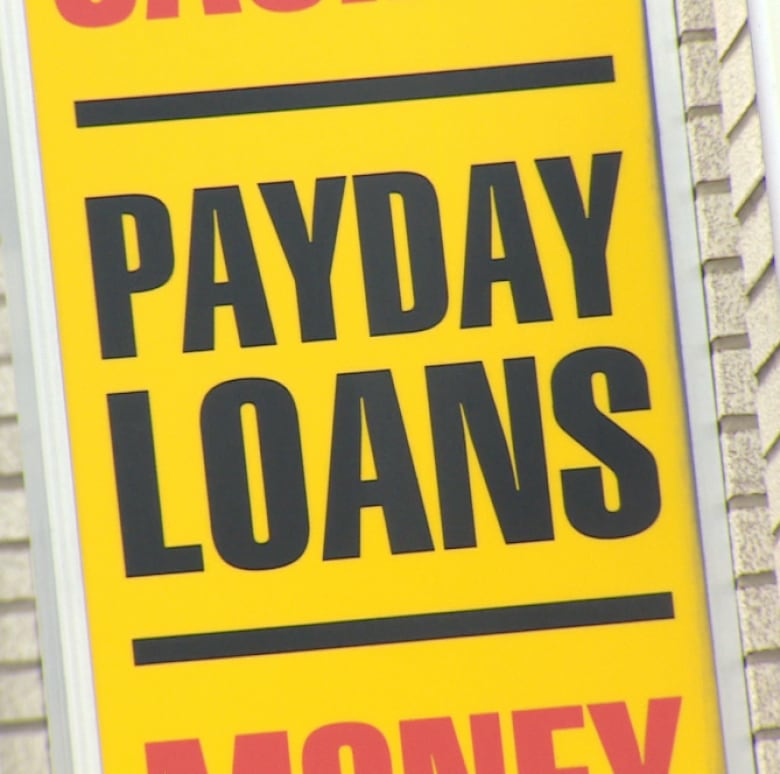 "I'd like to see the criminal code ... lower it to a maximum interest rate of 30 per cent from 60 per cent," he tells Tremonti, suggesting there should be a real-time national tracking system or database in place to help stop payday rollover loans. "In a one kilometre area in Ottawa, in a low income area, there's 22 visible payday lenders ... that's a bit much." Listen to the full segment at the top of this post — including hearing from the president & CEO of the Canadian Consumer Finance Association, formerly known as the Canadian Payday Loan Association. We also talk to Doug Pawson of Causeway, a not-for-profit organization that runs social enterprises in Ottawa. "Ninety-nine percent of Canadians have a bank account or an account with a financial institution. This demonstrates that banks in Canada offer accessible and convenient financial products in a regulated and trusted environment that can meet the needs of the vast majority of Canadians. These include small, short-term loans and credit options that are a fraction of the cost of a payday loan. Canada's banking sector is deeply committed to working with clients who are facing financial difficulty. It's important to remember that there are always better, more holistic options to helping someone struggling with debt than providing them with more debt or credit." This segment was produced by The Current's Karin Marley, Kristin Nelson and Julian Uzielli. Can you go a month without a credit card?